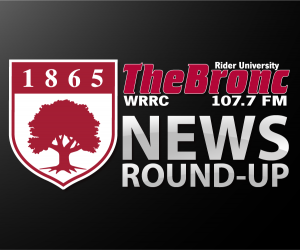 Rider University’s Office of Marketing and Communications and 107.7 The Bronc have teamed together for The Bronc News Round-Up , reporting to you the latest news and information from this college destination. Every week, Patrick Schultz and Ethan Duer will bring you amazing stories about Rider University faculty, staff and students, and their impact on campus, the community, and the world. New Dean? We’ll have exclusive interviews asking the questions every student wants to know. Student participating in a once-in-a-lifetime internship? We’ll give you the details. Professor published works? We’ll be sure to report on it cover to cover. From Rider’s many colleges to staff hires and promotions to athletics, events and performances, if Rider is involved, you’ll be sure to hear it from the Bronc Round-Up team. 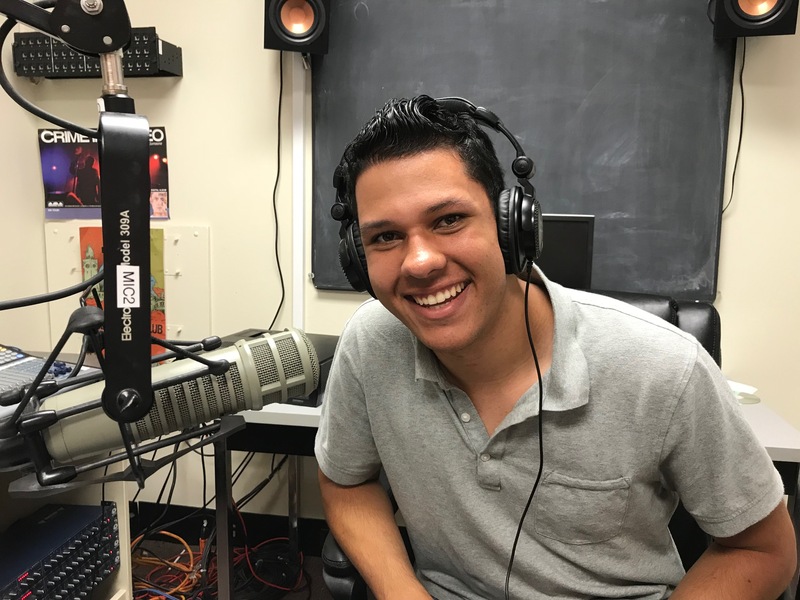 Listen to the Bronc News Round-Up five times a day on the air at 107.7 FM, or watch a video episode every week on Rider’s YouTube and Facebook page. 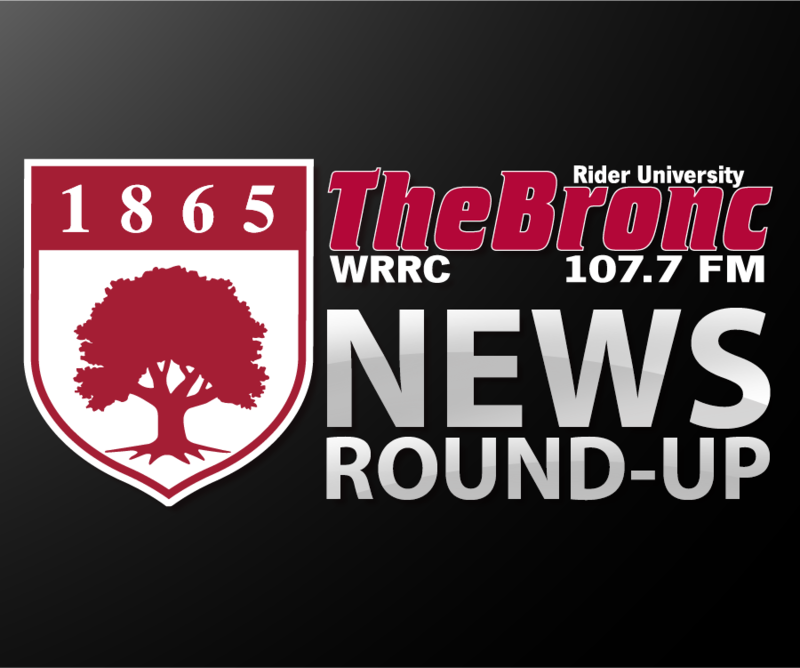 The Bronc News Round-Up is underwritten by the Office of Marketing and Communications at Rider University. Monday – 7 a.m., 10 a.m. 1 p.m., 4 p.m., and 7 p.m.
Tuesday – 8 a.m., 11 a.m., 2 p.m., 5 p.m. and 8 p.m.
Wednesday – 9 a.m., Noon, 3 p.m., 6 p.m. and 9 p.m.
Thursday – 8 a.m., 11 a.m., 2 p.m., 5 p.m. and 8 p.m.
Friday – 6 a.m., 9 a.m., Noon, 3 p.m., and 6 p.m. 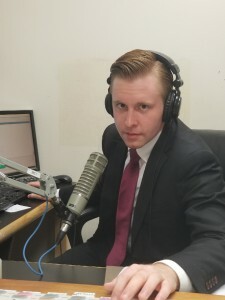 Audio Producer Ethan Duer is a Public Relations major and is excited to be a part of 107.7 The Broncs team as the host of the Bronc Round Up Show. Growing up close by in Hopewell NJ, Ethan enjoys his time at Rider getting his education while in his free time he greatly enjoys playing guitar and piano, going to concerts and long distance running. Continuing his family’s legacy, Ethan’s Mom Rhonda was a Rider graduate in the Class of 1982. As a Public Relations major he hopes to find a successful position in that field! Video Producer Patrick Shultz is a digital media major (film, radio, and television) with a concentration in television. Patrick loves to exercise on my free time, having been a competitive swimmer, ran the Philadelphia Rock N’ Roll Half Marathon, and biked the New York City Five-Boro Bike Tour. Patrick is really into movies and tries to see at least one a week with friends. Coach Lynn Milligan – Rider’s Women’s Head Basketball Coach Lynn Milligan offers a recap of the 2018/19 season, highlighted by Stella Johnson being named 2019 MAAC Player of the Year. The Eggscellent Egg Hunt 2019 – One of the most exciting on campus events is around the corner, 107.7 The Bronc’s Eggscellent Egg Hunt! Denise Pinney – Rider’s Director of Corporate and Foundation Relations Denise Pinney sat down with us to discuss a new Endowed Scholarship. Mike Reca – Rider’s Vice President of Facilities and University Operations talked to us about the Kroner Hall renovations, expected to be done for the Fall 2019 semester. Steve Fletcher – Rider’s Head Swim Coach talked to us about the recent Men’s MAAC Championship win and the overall success of the 2018/19 season. Ron Cook – Rider’s Associate Dean of Graduate Programs discusses the business program and found success in a recent competition. Thomas Reddington – Rider’s Coordinator of Veteran’s Affairs talked to us about the Universities veteran’s programs and a recent award designation. Amber Henley – Rider counselor Amber Henley discusses the recent EPO Program’s 50th anniversary. Denise Pinney – Rider’s Director of Corporate and Foundation Relations Denise Pinney talks to us about Sweigert Halls new Rue Auditorium. Justin Burton – In the first show of 2019, Dr. Justin Burton tells us about Rider’s new Interactive Media and Gaming major which will begin to be offered next fall. Don Harnum – Rider’s Athletic Director talked to us about Rider’s student athletes academic success and the vision he has for Rider athletics as a whole. Charlie Inverso – The Head Coach of Rider’s Men’s soccer team talked to us about their success this season, highlighted by winning the MAAC Conference championship. John Bochanski – Rider’s Director of Computer Science discusses the continued science hall renovations and overall program expansion moving forward. Sasa Montano – The CEO of Meals on Wheels of Mercer County talks to us about the new found partnership with Rider University. Jonathan Millen – Rider’s Dean of the College of Liberal Arts and Sciences talked to us about the expansion and direction of the college moving forward. Denise Pinney – Rider’s Director of Corporate and Foundation Relations Denise Pinney sat down with us to discuss the renaming of North Hall, now the Lynch Adler Hall. Mike Reca – Rider’s Vice President for Facilities and University Operations tells us about the recent on campus renovations. Natalie Pollard – Rider’s Director of Alumni Relations Natalie Pollard tells us about this years upcoming Homecoming event. Scream Screen 3 – Everyone on campus is gearing up for the “spookiest” event of the year, 107.7 The Bronc’s Scream Screen 3! Jonathan Yavelow – Professor Jonathan Yavelow tells us about Rider’s new Health Studies Institute as well as the new “Health 411” weekly podcast. Ron Cook – Professor Ron Cook sits down with us to discuss this year’s INC 5000 conference where he and six Rider seniors will be traveling to in October. To see a video version of the story, click here. Nick Barbati – Director of Campus Life Nick Barbati tells us about this year’s ‘R Factor,’ one of the most popular annual campus events. To see a video version of the story, click here. Karin Klim – Vice President of University Advancement Karin Klim tells us about Rider’s recent fundraising success and how it impacts Rider moving into the future. To see a video version of the story, click here. Mark Schweiker – Sit down with Former Pennsylvania Governor Mark Schweiker who is joining Rider’s political science department. To see a video version of our story, click here.